At Old Stone Pet Lodge we promise to care and love your pets in a home-like environment. We will take our canine guests outside to play/exercise/potty at least 3 times a day. When they’re not outside having fun, they’ll spend their time indoors in a climate controlled atmosphere, much like when they’re at home. 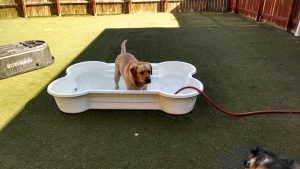 At Old Stone Pet Lodge we offer a choice of rooms, with unique boarding packages which can be mixed and matched throughout our guests stay. Additional services can also be added, such as one-on-one time, walks, greenies and others. For detailed descriptions of our rooms, click here to go to the Facilities Page. Additional services are listed below this section. We supply premium dog food to our guests. If your pet requires a special diet, or you would like your pet to enjoy its regular brand of food during their stay at our facility, please bring it along. When checking in, whether we are feeding our food or yours, we will review your pets feeding habits and feed them according your specifications. Package the food in a Ziploc bag or plastic container. Label all items clearly with your pet’s name. 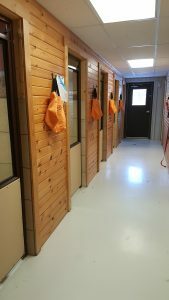 We have built our kennel to prevent cross contamination; however, we cannot be responsible for lost, dirty, damaged or destroyed belongings, although we will do our best to prevent any of this from happening. With that said, please bring items that won’t be missed if they get destroyed, lost or stolen by another guest. 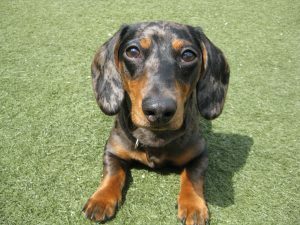 Owners must provide pet’s medication as well as instructions for administering at check-in. Free baths will be given to every dog that stays for 5 consecutive overnights. We can give baths and clip nails as requested, as an additional service. We offer a self service wash area for our customers free of charge. This includes using our shampoo, conditioner, towels and blow-dryers. 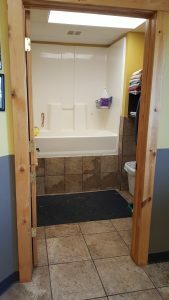 The self-serve wash area is on a first come first serve basis. Appointments are not required; however, you must check in with the front desk upon arrival, as we want to make sure you have everything you need.